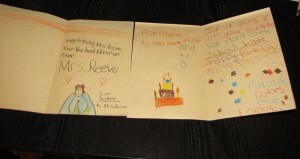 More than the snow day, what really made my day this afternoon were these birthday cards that 2 of my 4th grade girls made for me. Their class had a Game Day today, and this is what they decided to do with their free time in class. 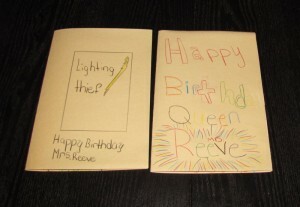 I love these cards, they’re going on my mantel with the other birthday cards I got this year. And I’m saving them forever, I love them.